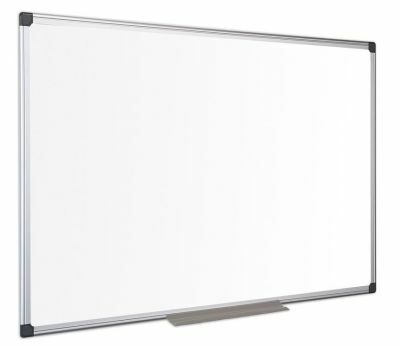 Economical whiteboards available in a wide range of sizes and can be mounted landscape or portrait depending on your needs. The durable Aluminium frame includes wall fixings for easy set-up and a pen tray to store dry-wipe pens when not in use. Available for free UK mainland delivery on a quick lead time of 2 - 3 working days.